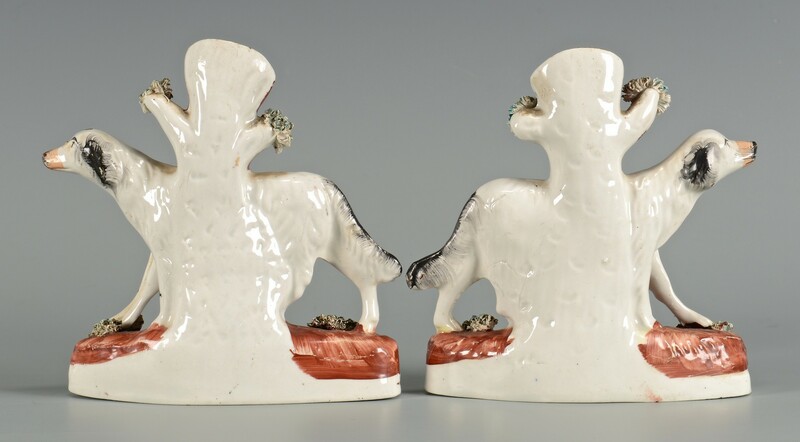 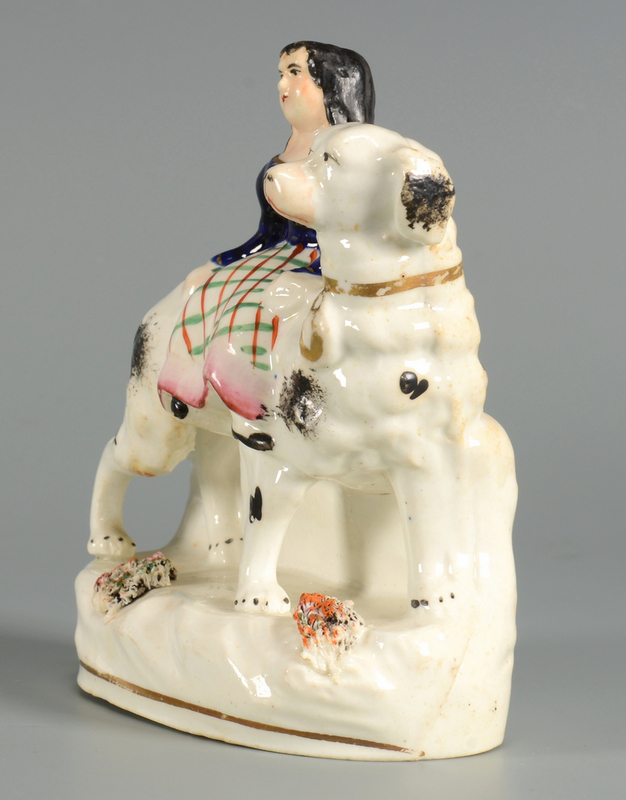 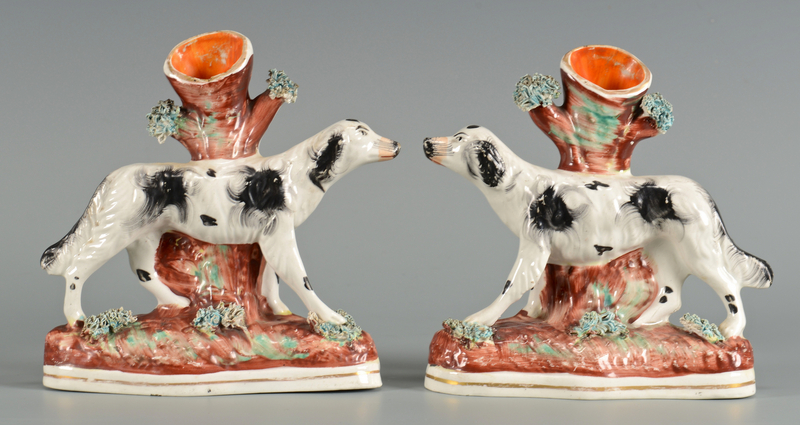 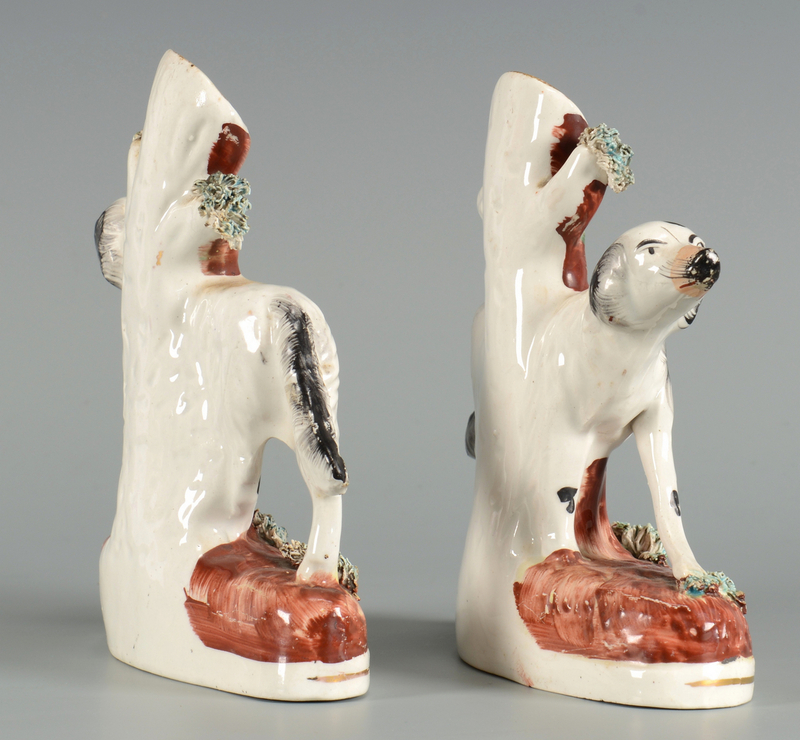 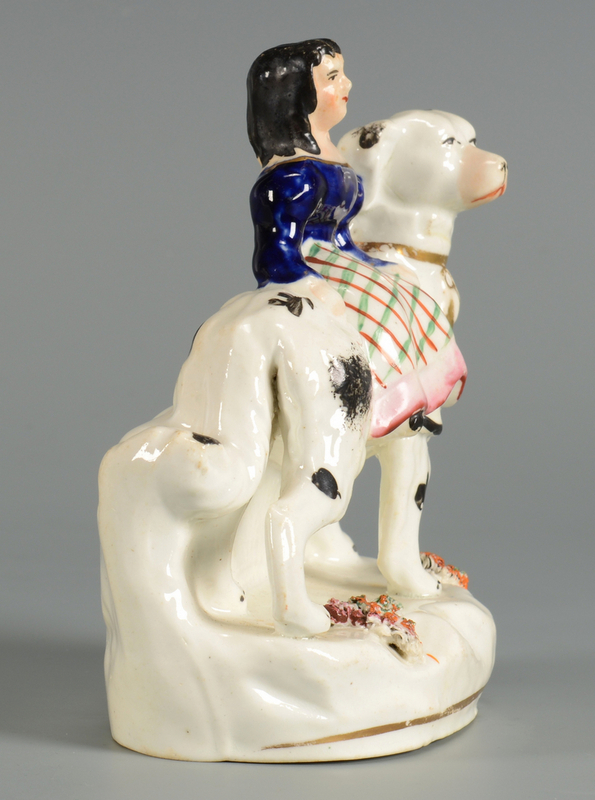 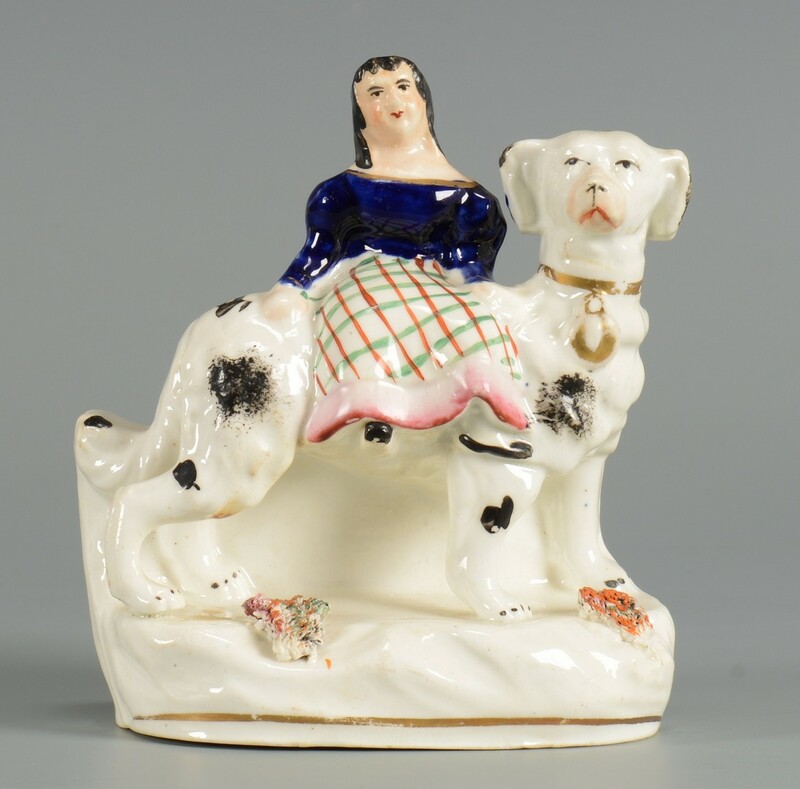 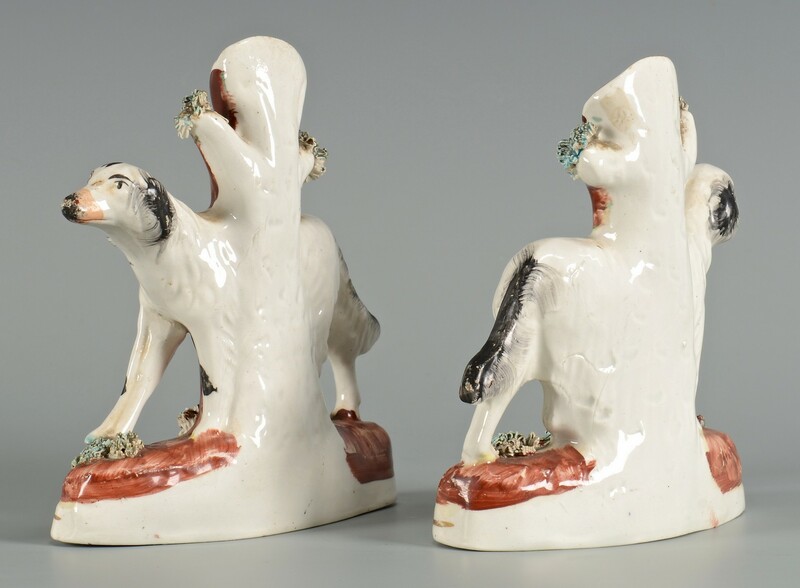 Pair Staffordshire spaniel spill vases, modeled as opposing hunting dogs with trees and bocage, together with a small figure of a girl in tartan dress riding a large dog (girl has only one foot; there does not appear to have ever been another foot). All English; spill vases 5-7/8" H, circa mid 19th century, figurine 4-3/4"H, late 19th to early 20th century. 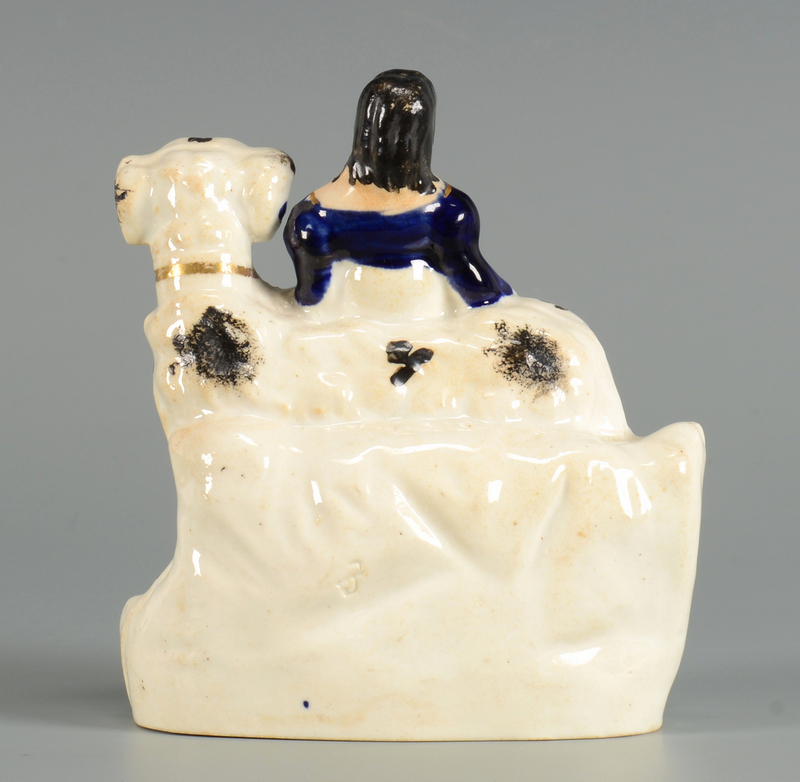 CONDITION: Very good condition with minor wear and a couple of very small losses to bocage.